No house is the same, and no window well should be either! The options for our customers are endless. Because we know that different people will need different shapes, sizes, measurements, and styles. No matter what kind of window well you are looking for, we will provide what you need with high quality products. If your looking for a decorative finish for your window well, these faux rock window wells are perfect! When you look at your basement window, you will see a rock looking structure rather than a piece of metal. There are tons of measurements to pick from to make sure they fit your home perfectly and add a great amount of value! These window wells are made out of high quality galvanized steel. They go all the way up to 91” wide. 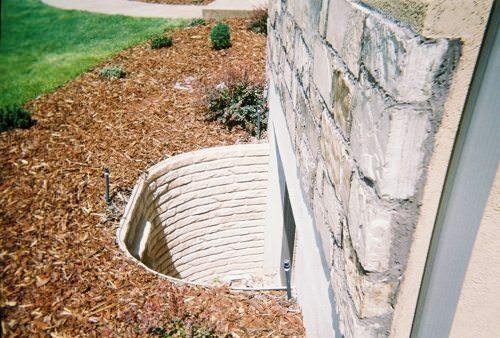 You have options with these foundation vent wells, they come in semicircle and square design. These bad boys won’t bend under pressure and are made to last! These will get delivered directly to your home or worksite. No worries on your end! There are a variety of shapes and sizes that fit different egress codes. These again are made out of the strong galvanized steel. Looking for a window well that isn’t metal? We offer bright white window well that’s give a clean and fresh look! These easy to install modular pieces can bring your basement window up to emergency egress code. These wonderful pieces never rot, rust, or need to be replaced. These are used to extend the depth of ScapeWEL window wells. They are made out of high density polyethylene which is a maintenance free material! Want to make your window well something beautiful to look at? Then this Bilco Scapewel planter designed window well is exactly what you need! The step design added to this window well can make a great area for your plants. Look out the window into a little garden instead of a boring window well. Another nature looking window well that is eye catching and adds natural beauty to a basement. This window well is contracted out of 20-gauge steel for extreme durability. The top is rolled for even more strength and safety. 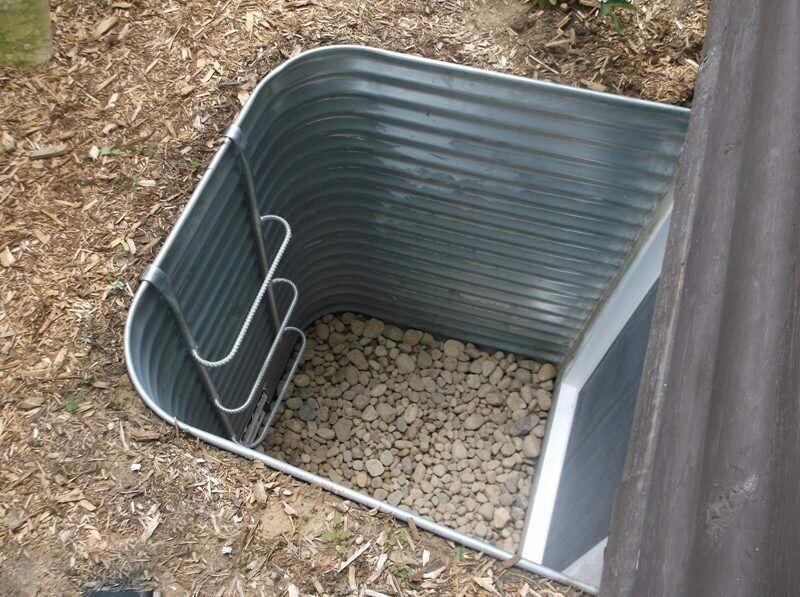 The deluxe straight window well is made out of heavy gauge galvanized steel to ensure the strength of the product. For easy attachment to walls and frames, there are pre-punched flanges. Add landscape and the plants you love to this window well. It has ledges to easily accommodate your stunning plants. This window well also has an option to powder coat it white to enhance the look! These window wells are made specifically to withstand the pressure of heavy soil or clay. 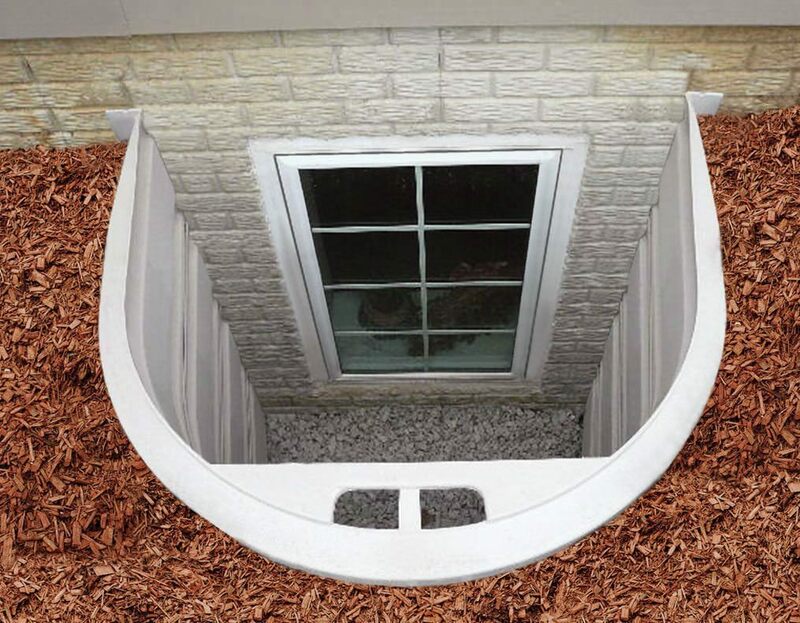 If you need a window well with extreme strength, this one is what you are looking for! Add a beautiful view outside your basement window with a granite or sandstone finish! It has built in steps and is made from sturdy fiberglass mesh and resin. Enjoy the sight and strength of any one of these high quality beautiful window wells!